For today’s deals roundup, we have covered In-Ear Wireless headphone deals that are currently going on Amazon. This list contains audio devices such as wireless in-ear headphones that are from brands like boAt, Crossbeats, and more. Do you want to get rid of the hassle of untangling wires? Are you on the lookout for a good pair of IEMs? If yes, then you’ve come to the right place. 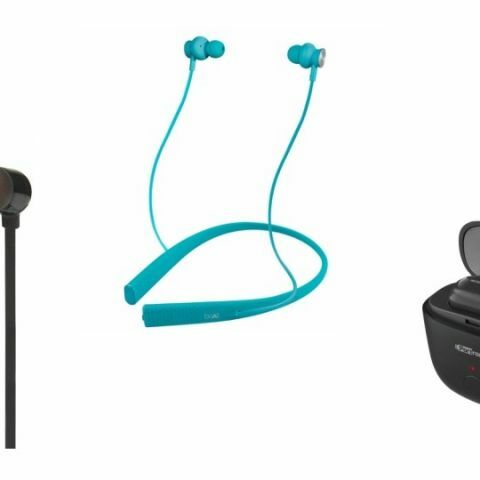 We have found some interesting deals on Amazon on in-ear wireless headphones from brands like Crossbeats, boAt, and more. The boAt Rockerz 275 Sports is a water-resistant Bluetooth in-ear headphone, which comes with an IPX5 rating. The headphone comes with 150mAh battery, which as per the company can deliver up to ten hours of audio playback on a single charge. Click here to buy. The Tagg Inferno is a water and sweatproof wireless In-Ear headphone which comes with an IPX4 rating. The headphone features passive noise cancellation and is protected by the nano-coating technology, which protects the earbuds from sweat during workouts. As per the company, the headphones can provide up to seven hours of audio playback on a single charge. Click here to buy. The Skullcandy Ink’d Wireless In-Ear Headphone features an in-line microphone and remote, which lets you manage audio tracks and calls without taking the device out from a pocket. As per the company, the headphones can provide straight eight hours of continuous audio streaming on a single charge. Click here to buy. The JBL T110BT In-Ear Headphone comes with three-button in-line remote and microphone to manage audio tracks and calls. It also has a magnetic latch, which lets the earbuds stick together when not in use. As per the company, it has six hours of battery life. Click here to buy. The Portronics POR-920 comes with smart charging case, which has an in-built 200mAh battery that gets fully charged in two to three hours. The device is Bluetooth 4.2 enabled and comes with a noise-cancellation microphone which reduces the outside noise. The headphone features 8mm drivers and weighs around 4gm. Click here to buy. The Tagg Sports Plus Bluetooth Earphones comes with a magnetic latch which prevents accidental falls. It has a built-in microphone and remote that lets you pick up calls and manage audio tracks easily. The earphone is Bluetooth 4.1 enabled and offers a battery life of up to eight hours. Click here to buy. The Skullcandy Method is a wireless sweatproof earbud which lets you workout without worrying about the headphones. As per the company, the earbuds can deliver up to nine hours of audio playback. Click here to buy.